Ebonyi State chapter of Campaign For Democracy, CD, yesterday gave a 48 hour ultimatum to the Controller General of the Nigeria Prisons Service, Mr. Jafaru Ahmed, to release the names of the prison inmates that were allegedly killed by prison officials during the foiled jail break that took place last week in Abakaliki or face legal action. CD is the second human rights group in Abakaliki to have threatened legal action against the prison authority after the Committee for the Defence of Human Rights, CDHR, yesterday accused officials of Abakaliki federal prisons of extra-judicial killings involving prison inmates. At a press conference, the state chairman of the organization, Comrade Onu Ogbonnaya Onu noted that the families of the deceased and indeed the people of Ebonyi state are curious to know the identity of those that were killed during the attempted jail break. According to him, there has been anxiety and the mass movement of people to the prison to ascertain the identity of those killed. 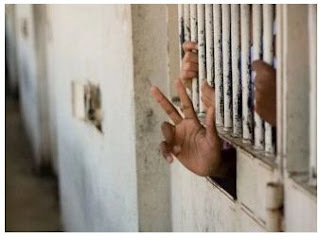 Comrade Onu stated that since the news of the killing spread, family members and relations of prison inmates have been making frantic efforts to know if their relations were among the deceased. Comrade Onu described the situation as sad and disheartening, adding that lack of information from the prison authorities has created panic and tension in the state as people troop to the Federal Teaching Hospital Abakaliki, FETHA, mortuary to make inquiry if their loved ones were among those killed and deposited in the mortuary. He stated that the organization would adopt all legal means to ensure that the families of the deceased get justice even as he described the killing of the victims as intentional. “Campaign For Democracy CD ,Ebonyi State, condemn in its entity the killing of prison inmates in Abakaliki over an alleged jail-break. We understand that prison officials deliberately shot at the inmates of which the greater number of them were awaiting trial. “We equally discovered that prison officials’ action were perpetrated to cover some shoddy and unprofessional deals in the prison, else why shoot them at sensitive parts of the body? Why not make use of rubber bullets?. “CD therefore call on the Comptroller of Prisons to constitute a discreet investigative panel over this barbaric and hateful killing. CD also demand the publicity of all the victims names and particulars within 48 hours or we will be left with no other option than to approach the court. “In a develop world, we see police use tear gas, rubber bullets to disperse rioters or in a worst situation, shoot them in the leg but so regrettable in Ebonyi situation, they shot and killed the inmate at close range. When you visit the Federal Teaching Hospital Abakaliki, FETHA were most of them are currently receiving treatment; you would be shocked at the level of gunshot injuries the inmates sustained. The group called on the Ebonyi State Governor, Chief David Umahi not to allow the killing of Ebonyi sons to be swept under the carpet as the killing may have made some persons widows and widowers. He called on well meaning Ebonyi people especially members of the State and National Assembly to speak out and condemn the unfortunate incident and ensure the perpetrators were fished out, prosecuted and dismissed to forestall any re-occurrence.